i7 workstation. It's green, but also white. The main components of my current rig is over 7 years old (AMD AM2 with 8GB RAM). I needed to have more RAM and like the low power capabilities of the intel chipsets. I thought about going Haswell/LGA 1150 but I really liked the prospects of the new M.2 drives and USB Type C. The new skylake platform and Intel 100 series chipsets were built better for this so I figure it will help future proof my rig for another 5 years at least. So I built my new rig around the Intel Core i7 6700. The 6700 is rated at a lower wattage than the 6700k, is $100 cheaper, and it's still an i7. My main goals were to keep the costs around $1500, have 32GB RAM, use the new M.2 SSD's, and build a quiet and energy efficient PC as possible. I will be using this as my main workstation at home, running one or two VM's, and to improve my efficiencies in photo editing and video processing. This is also my first time with water cooling, I always thought this was cool so I really wanted to try it. Plus it aligned to my goals of building a quiet PC. I bought pretty much everything on Newegg, besides the CPU. Newegg is great because I get most things in 1 or 2 days living in Southern California. Unfortunately, I had to pay over $100 in taxes. 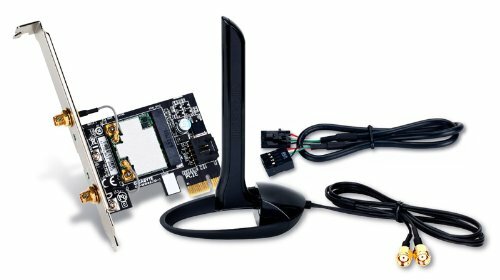 I did get a wireless PCIe adaptor because some devices on my home network are only accessible wirelessly, such as chromecast, and my Samsung smart TV. In the near future I will probably pick up a 1TB SSD for user file storage. And in 18-24 months, upgrade the M.2 to a higher capacity when the prices eventually fall. I migrated over my 4TB RAID 0 setup from my AMD rig over to the new one. 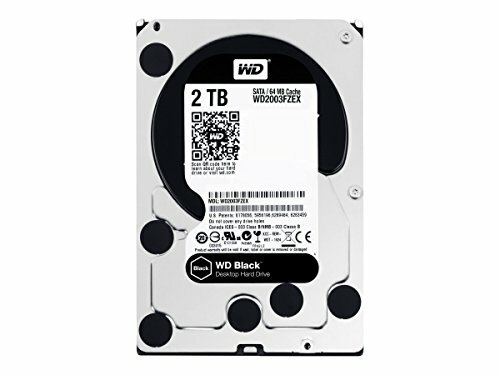 This gives me 3 storage tiers Ultra Fast (M.2 SSD) , Fast (SATA SSD), and Medium (HDD RAID). It matched my case and it got great reviews. Plus the customizable LED is cool. 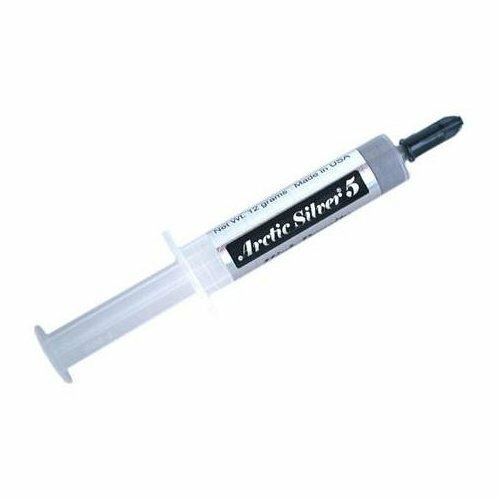 I cleaned off the OE thermal grease on the Kraken and used Arctic Silver 5 directly on the CPU surface. Easy to install, although I was confused about the power and fan headers. The IKEA like instruction manual was vague, so I had to look up a youtube video to figure out what headers to use. Apparently the 3-pin plug goes into the CPU_FAN header, the waterblock fans go into the CPU_OPT header, and there is a USB plug (which doesn't have all the pins, on purpose) which plugs into an available USB_2 header on the MOBO. NZXT warns to install the CAM+ software BEFORE plugging in the USB header. I followed that advice and had no problems. The CAM+ software is cool but it requires you to submit/register with NZXT. The radiator and fan are quiet and keeps my i7 in the low 20's. I've had the same stick of thermal grease for years, still works great! I wanted 32GB of ram, enough to run a host and some VM's at the same time, along with doing the video editing and photo editing. The memory was running at some other frequency upon first boot, but I was easily able to select the XMP "Profile 1" setting and it changed everything to what was spec'd out on the memory box. These sticks are huge though! They are almost touching each other in the memory slots. So far so good. Had these in my AMD rig in a RAID 0 array and now moved them into my intel rig. TOo bad I had to recreate the RAID, but the data transferred over just fine and I will be using these until SSD prices drop more. One day I'll convert to all SSD. 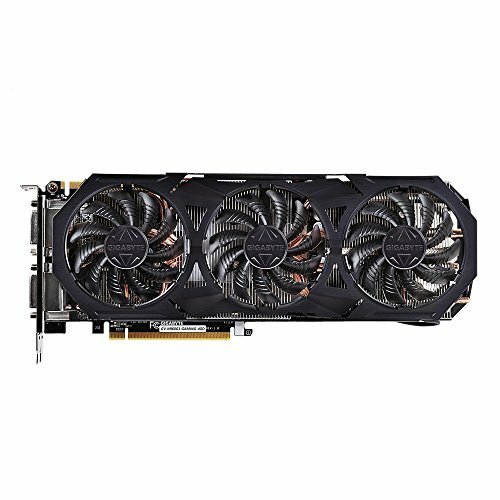 I don't do a whole lot of PC gaming, but wanted a decent video card for the video editing. So far so good and this card is quiet! It is monstrous, but I didn't lose any HD trays with the NZXT H440. it sticks out a little into the HD area but it's fine. There are blue LED's that say whether the fan is on or off, which is cool. Most of the time the fans are off, so I hardly ever hear it. I was debating between this and the Corsair 540. The showstopper for the 540 was the power buttons were right in the front, with two small kids they will be turning the computer on and off all day. The H440 has the power button on the top, and it's the same color as the chassis… kids are less likely to press it, plus the peripheral ports are on the top, where I tend to place external drives anyway. Awesome case, just don't try and lift it up by the handle looking area on the front panel… the top will just fly off! All of the thumb screws were on pretty tight from the factory so I had to use a screwdriver. The fan hub is a nice touch but I think I will connect most of the fans to the Mobo headers so I can monitor and adjust their speed. I left all of the fans intact, and installed my Kraken radiator at the top in an exhaust formation. The wire holes were a-plenty and the case is pretty quiet. I like the thick sound deadening padding, not sure how much it helps with the video card right below the un-padded side-window. The LED's in the case are cool, I like the lighting on the rear ports, keeps me from holding a flashlight from under my desk where the rig sits. Great power supply, even has an "ECO" mode, which runs with the fan off until it gets too hot. Fits in nicely with my goals of having a quiet PC and saving energy. This has to be the nicest power supply I have ever bought, even came in a fancy cloth bag… and with fancy velcro cable ties. 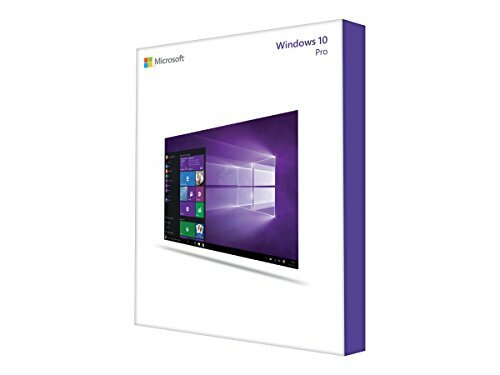 It worked fine in Windows 10 without any drivers, although Bluetooth was not working. That is probably because I did not plug in the USB header. Why does this need to plug into a USB header on the mobo? I don't have any available USB headers and this expansion card wants to take one up... doesn't make any sense. But seriously, awesome pics. And awesome PC. That decal looks awesome and so does the PC. Did I mention that it looks awesome? Thanks! It's a stencil I cut out of paper. I sprayed it on with plastidip so I can easily remove it later on. Really? I kinda smell bacon. Run for it! Its the cops! I've seen it done, but requires some work. You could re-solder the led to a different color. Very nice build and photography there! I spread it on with a credit card, it was on pretty thin until I wanted to cover the edges. That's where I got all those ripples. I did "wiggle" the cooler onto the chip upon install so the paste would "slide" and "spread". Temps have been stable so I'm not too worried. I rarely apply paste and i never built ground up a new PC but I think the best way to spread paste is by putting a big spot in the middle and let the plate spread it to ensure there's no air buble isolating, I wanted to know if you still have stable temps? temps are stable. putting a drip in the middle and letting it spread from pressure will not guarantee there is even coverage. There still may be some pockets where no paste is applied on the heat transfer plate. I've been waiting to see a build with that RAM. Hi adobo. Like your rig. I chose the 6700 / 950 pro for similar reasons. I found the MS NVMe driver worked better than the Samsung driver (1.4GB/s read with the Samsung driver but 2.4 with the MS driver). Only problem I find is that the 950 maxes out easily to 100% 'Active' with 'Response time' often climbing to over 1,000 ms. Eg with an MS upgrade or running Performance Test 8. BTW, I get CPU Mark 10748; 2D Mark 910; 3D 3007 (this card not for for 3D); Memory Mark 3207 & Disk Mark of 13,861 - all stock clocked. Have you run any benchmarks such as Performance Test 8 on your rig? I haven't run any storage benchmarks on my rig, but I have read a lot of reviews/benchmarks on the 950 Pro. The thing with the m.2 format and storage benchmarking is that the benchmarks do very long sequential reads and writes, which may put the SSD into thermal throttling, which may inhibit performance. Real world use typically does not have such lengthy read/writes and stays well within the thermal limits of the storage. I have not seen any observational performance degradation with my setup, and just by looking at the windows task manager, the storage rarely goes into 100% utilization. I'm running multiple VM's on my machine now and it is still very responsive. It has been performing very well for me thus far, down the road I might pick up a 1TB stick once it comes out. Tks for your prompt reply. Good to know that your rig is behaving itself. I'll keep an eye on the 950. There may be something amiss as I have dual boot with an 850 EVO that does not exhibit the same behaviour. I have a question about the 950's and this setup, how does it work for games loaded on the 950's? Any measurable difference from a regular SSD? Very nice setup man, enjoy that sucker! 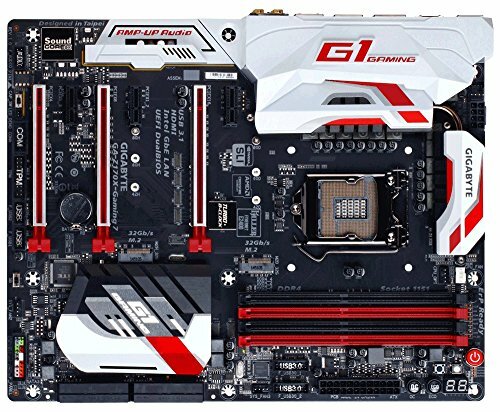 what do you mean with gigabyte motherboards not liking skylake for performance? You're talking complete **** man! I liked the newer generation motherboards and chipsets that had the type c support and the improved m.2 speeds.